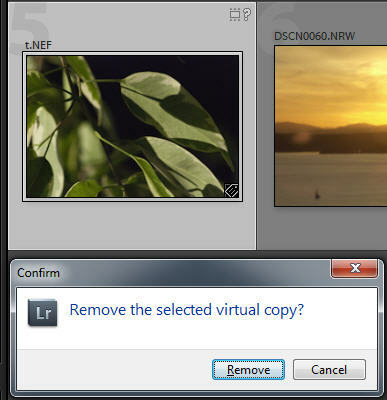 Lightroom v3.5RC: Can't delete photo - Lightroom insisting its a virtual copy (its not). Photo (file) is missing, and I'd like to remove the photo from the catalog, but I can't. Lightroom thinks its a virtual copy for some reason (never was).